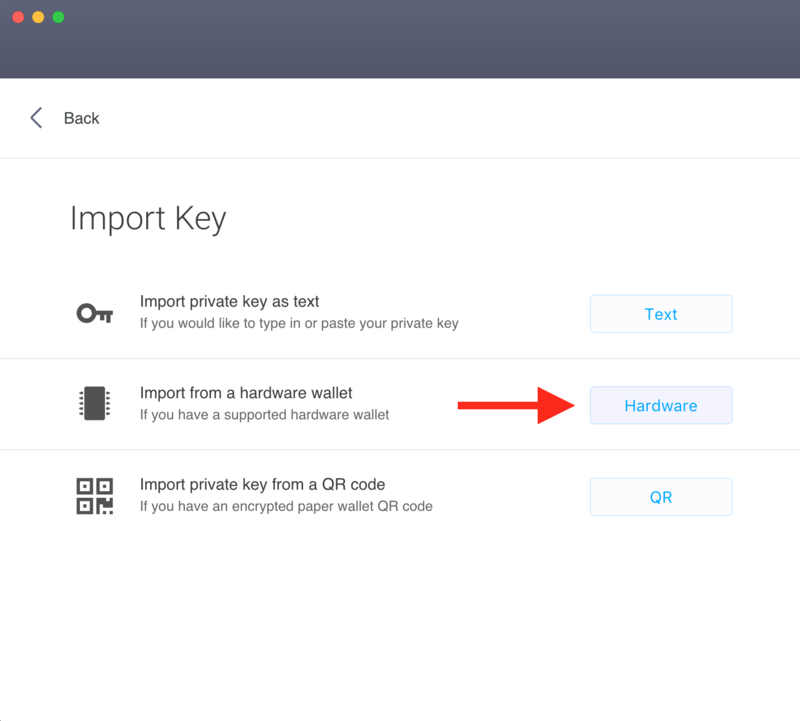 Can I use my Ledger hardware wallet? Yes, you can use your Ledger Nano with Scatter, but with some caveats as there are some technical limitations currently. If you have a Ledger nano, you can use it with Scatter. 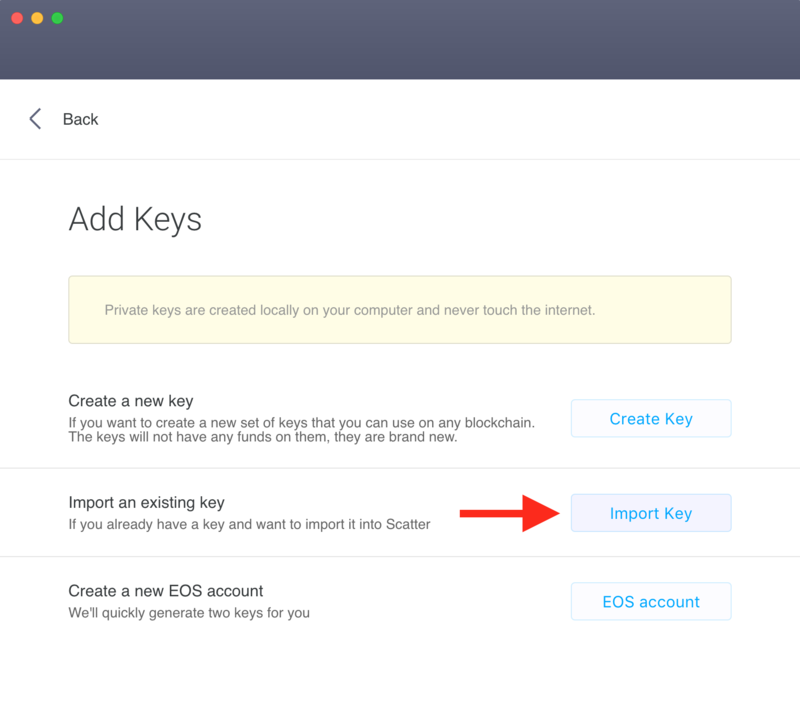 Import your key into Scatter, using the "Add Keys" button in bottom left corner. Make sure that your Ledger is plugged in and unlocked. You can now hit the "import key" button. In the Hardware panel, you can select which device you want to import from. If you have multiple Ledger devices, you can index them starting from "0". 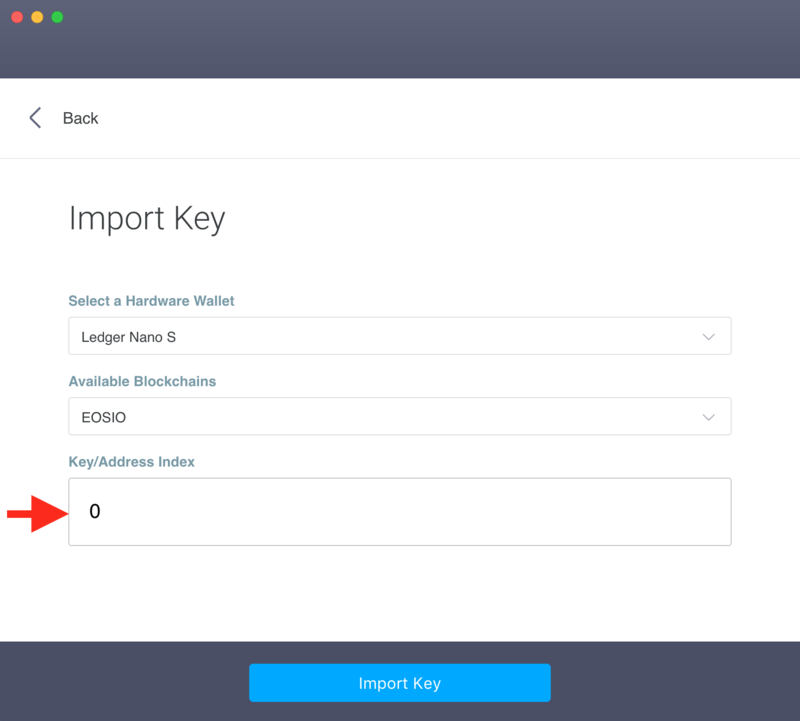 When you are ready, hit "Import Key" and Scatter will detect your Ledger Nano and you'll be ready to go.